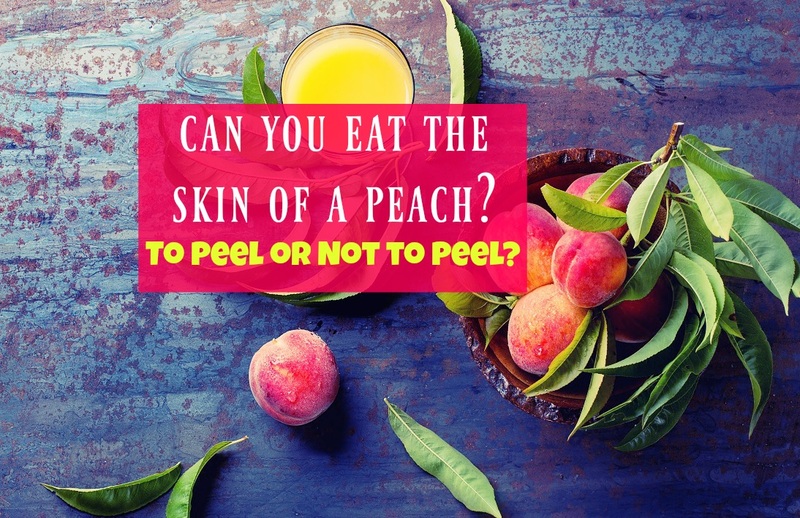 Home » Blog » Can You Eat Peach Skin: To Peel or Not to Peel? Can You Eat Peach Skin: To Peel or Not to Peel? One of the most sought-after and indulged upon fruits happens to be the peach. This might be due to its sweet flavor, or its juiciness, or even the overall health benefits. Either way, you can find peaches and peach lovers just about everywhere. Whether they are in hearty breakfast dishes or indulgent desserts, in healthy salads or even tangy salsas, peaches are one of the most popular fruits to add to your favorite cuisines. Well, the insides, at least. But can you also eat the outside skin (peel) of a peach? Just as each fruit or vegetable has a different look or feel to their outer protective layer, so does each fruit or vegetable’s skin have a different procedure for the handling its skin. So where do peaches stand in the debate of to peel or not to peel? Can we eat the skin? What other ways can we use the peach skin? Let’s examine these questions below. When it comes to appearance, it would not be very hard to get peaches and apples mixed up. Their coloring can be very similar, as well as their sizes. However, one would be able to tell the difference between the two fruits by touch right away. While an apple actually “feels” just as shiny and smooth as it looks, peaches are in a much different league. So if you find yourself having trouble distinguishing whether a small, reddish-pink round fruit with a stem is actually an apple or a peach, give it a touch. As long as you can get past the sensation of the fuzzy skin of a peach on your tongue and in your mouth, it is a perfectly safe thing to eat. Peach is actually overloaded with vitamin C, which can do wonders for your skin, tissue, bones, and blood vessels. 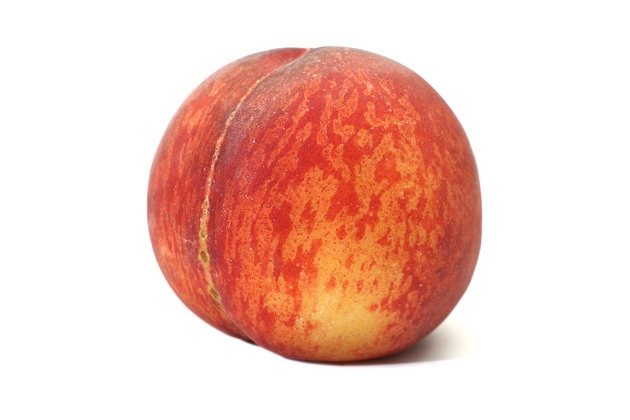 Believe it or not, the skin of a peach contains more fiber than the actual juicy flesh. This is a real boon for the digestive system, as it helps to counter irregularity in the stomach, issues like constipation or diarrhea. Peach also contains vitamin A, zeaxanthin, and lutein, all of which are related to the promotion of eye health, inevitably helping you to maintain good eyesight, even as you grow older. One would find the same nutrients in vegetables like carrots. Other than the somewhat strange sensation of the tiny hair-like pieces on the peach skin, the overall flavor tends to be quite a bit tarter as opposed to the much-sweeter flesh contained within. If you like foods that are very sharp and almost sour to the taste, think along the lines of grapefruits, lemons, or pickles, you will enjoy the flavor of peach skin. Eating the skin along with the inside of a peach also happens to promote weight loss. consuming the skin may actually satisfy your hunger and help to prevent you from overeating. Okay, okay, we understand that maybe it’s too hard for you to get past the hairy exterior of a peach, or maybe you have tasted the skin and it’s too tart for you. But just because you don’t want to dive headfirst and bite right into a peach, doesn’t mean that you have to completely get rid of the skin. One of the many great things about peach skin is that it’s versatile, you don’t necessarily have to consume it whole, or even immediately. If you boil the peels (and the pits too, if you like), you’ll end up with a juice, which if you boil that again and mix it with pectin and sugar, you can make a delicious peach jelly or jam to go with your favorite breads or pastries. You can also make a delicious peach butter by simmering the peels along with lemon juice, water, and sugar. Putting aside the health benefits, taste, and many uses, the skin of a peach does come with a few warnings. As with any other fruit or vegetable whose skin you are intending to eat, you will need to make sure that you wash it thoroughly beforehand. You should not just pick up a peach, rub it against your shirt, and then bite into it as some people might do with an apple or pear that has been picked from its tree. Because the skin of a peach is much softer and more delicate, they often tend to not only require stronger and higher amounts of pesticides to thrive, but the pesticides also tend to cling to their skin. This way you know that their pesticide exposure is somewhat limited in comparison to regularly-grown peaches. They’ll have a sticker indicating that it is organic. #1 Before cleaning the fruit, remove the stems and leaves and submerge the peach in tepid water. #2 Scrub it gently to get rid of any residue and dirt, including the waxy outside layer of the skin. #3 Do be careful with how roughly your handle the fruit though; peaches are very fragile, if you polish them too aggressively, you can damage not only the skin, but also the juicy insides. #4 Once it has been efficiently scrubbed, run the peach through another rinse of water. #5 And voila, you are ready to enjoy your peach! Remember that not all peach skins are created equal. If the skin of the peach is more firm than other peaches, it might be best to peel the skin off first to make consumption easier. Additionally, sometimes you may come across some peaches that are much hairier than others; be wary of eating this skin as those little hairs can tend to bother your insides. Always keep in mind that while it is safe to eat both the flesh and the peel of peach, the pit is actually unsafe. 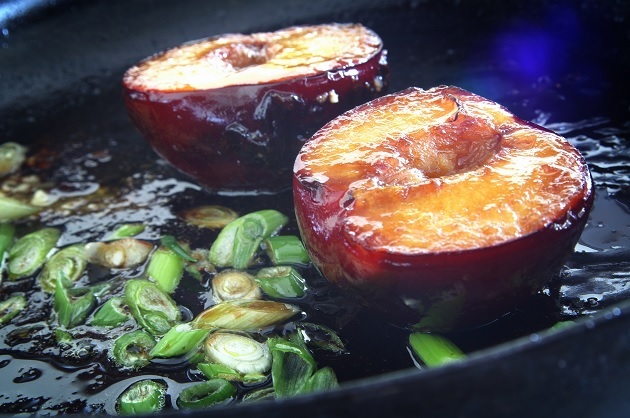 Like other stone fruits such as cherries and plums, the pit contains a compound called amygdalin. And now you are in the know: It’s totally peachy-keen to eat the skin! Not only does the skin contain a plethora of important vitamins and nutrients, you’d also be missing out on and wasting some real deliciousness if you didn’t take advantage of those peels! Can Ketchup Go Bad and How Long Does it Last?